Founded upon the principle "like cures like" by Dr. Samuel Hahnemann in the early 19th century, homeopathy works to promote optimal health for the entire individual on all levels: physically, mentally and emotionally. Embracing those very same principles of nature and of natural healing found in other ancient therapeutics, homeopathy seeks to re-establish both balance and harmony to an individual's health. Empower yourself and those you care for with the gift of optimal health. Since 1995, the Hudson Valley School of Classical Homeopathy has been instructing individuals in the art of healing and maintaining health on all levels. Homeopathy is an individualized, precise science developed over two hundred years ago and has helped millions of people experience relief and cure of their maladies. Homeopathy works with the same universal principles of healing found in all other ancient therapeutic systems. 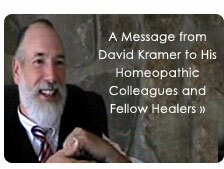 © 2002-2012 ClassicalHomeopathy.com. All rights reserved.